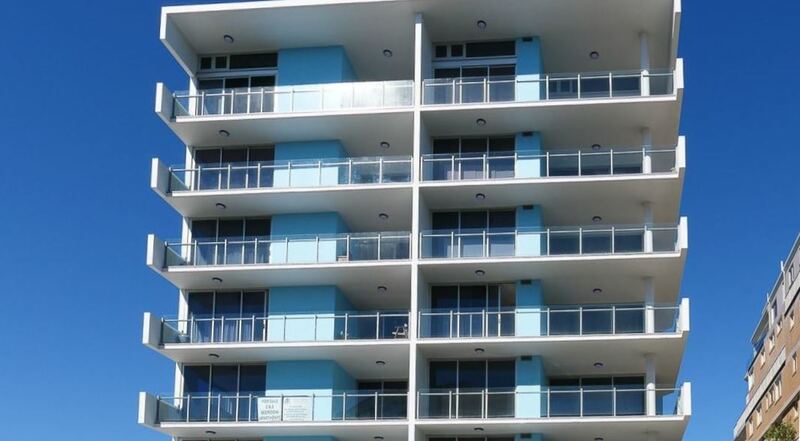 EnduroShield glass protection has been specified for the spectacular new Aqua View Apartments located only 300 steps from Kings Beach on Queensland’s Sunshine Coast in Australia. Aqua View Apartments Kings Beach consists of 31 high end apartments across 8 floors, each apartment boasting ocean views and sea breezes from their private glass balconies. EnduroShield was chosen as the protection of choice due its repellent nature once applied to glass with close proximity to the ocean and regular exposure to sea salt, dirt and grime, as well as airborne contamination from the nearby CBD. With glass appearing throughout the architecturally designed apartments, EnduroShield will be applied on all shower screens, glass balconies, glass doors and windows. The coating is transparent, as well as easy to maintain, it will not only reduce the cleaning time of the glass, it will also allow residents to enjoy uninterrupted ocean views from their apartments for years to come as it prevents staining and etching. Surrounded by Kings Beach, The Glasshouse Mountains, Caloundra and the CBD, it is easy to see why EnduroShield is the chosen glass protection to ensure these views continue to look as breathtaking in ten years, as they do today.